Emerald Custom Tours is a division of Emerald Elite Group representing the leisure side of the business in Ireland, Scotland, England & Wales. The company has been in business since 2004 and remains a family business with offices in Dublin, Edinburgh and London. The company has built up an excellent reputation is the leading private tour company Ireland and Scotland. In recent years we have expanded our tours to England and Wales. Our service is all about attention to detail and sharing our knowledge and local contacts with discerning clients who see unique travel experiences. Customized private tours for groups and individuals. Packages inclusive of hotels, car hire or chauffeur, excursions and activities. Personalize service and access to one off unique experiences. Travel and lifestyle consultation. We create a personalized trip proposal and itinerary for clients. We have access to events which may be otherwise sold out. We can make the impossible happen. At present we cover the UK, Ireland and Italy. For golf related travel we had a dedicated division called Links Golf Ireland. We are one of the few St. Andrews Old Course official providers. Over the years our business has evolved and span into various specialties in travel. 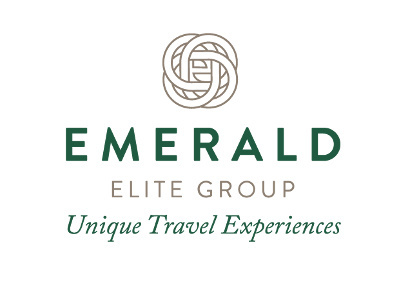 Many of our guests booked with us when we traded under the Emerald Elite brand. In 2007 we decided to brand our leisure division Emerald Custom Tours and our golf division Links Golf Ireland. The Emerald Elite website is still active as a brochure on our companies services. Our golf travel division Links Golf Ireland offers unique golf tours in Ireland, England, Scotland and Wales. We assist our guests with packages inclusive of tee times, accommodation and transportation. With our reputation and relationships in the industry we can access tee times at all the top private courses in the UK and Ireland. We are an official Old Course St. Andrews partner. Click the Links Golf Ireland logo to visit this website.